.. a simple, pure world. Standing as impassive witness to the unrelenting cycles of the tides and the seasons and the inexorable passage of “marine time”. When human consciousness tunes-in and interacts with these seaside sentinals, a surprising inner peace is induced. 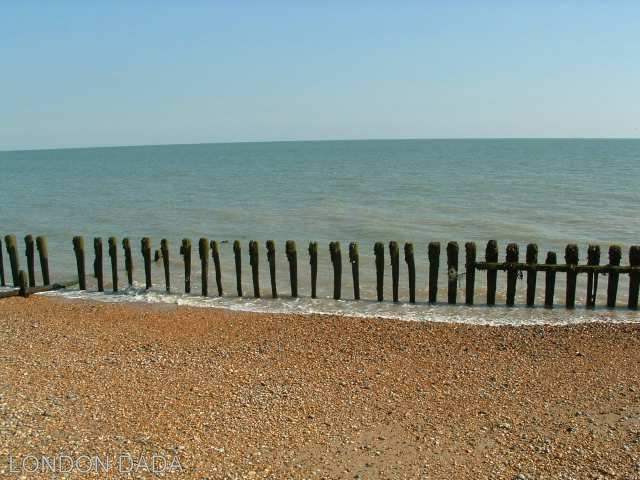 Beach erosion defence posts, beach at Rye Harbour, Sussex. Signed limited edition of 25 lightjet prints on Kodak Pro Endura.